I am trying to catch up with everything and everyone we missed while we were on vacation, so I will share more from Seattle tomorrow instead. 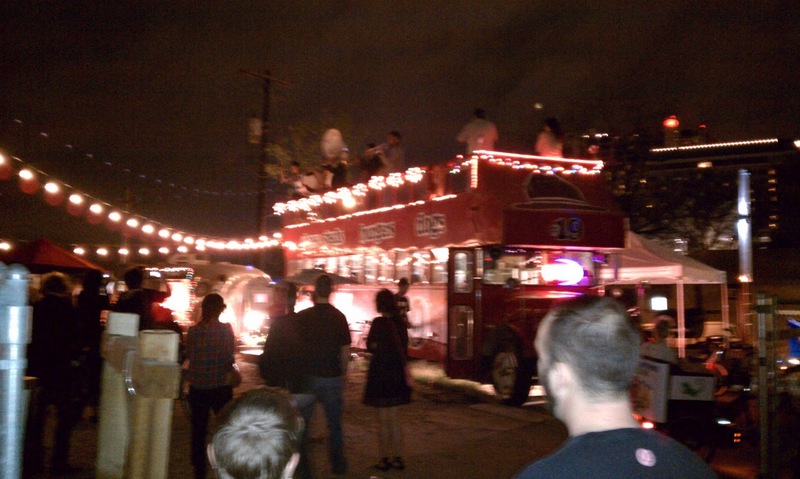 In the meantime I thought I would post a few photos from our SXSW experience. 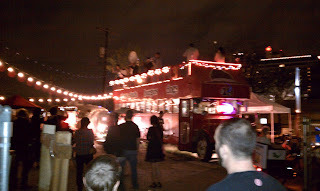 We ended up walking along 6th street one night last week rather than trying to find an event we could attend. It ended up being a really enjoyable way of participating in SXSW. We were able to hear some great music, while just relaxing and taking it at our own pace. 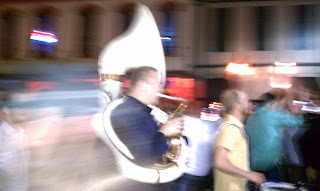 One of my favorite parts was coming across this great brass band that was playing on 6th street. We later came across them again at one of the food trailer parking lots. They were having a great time, and everyone was loving their music!